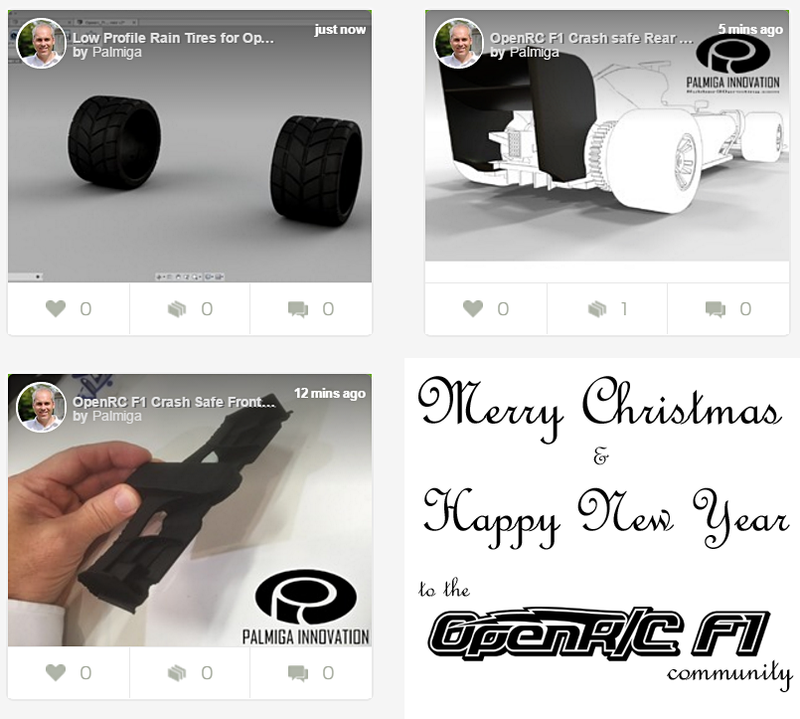 Rubber3Dprinting.com celebrates Christmas by sharing 3 more designs to the open source OpenR/C Formula 1 project by Daniel Norée. Palmiga Innovation / Rubber3Dprinting.com / Thomas Palm celebrates Christmas by sharing 3 more designs to the open source OpenR/C Formula 1 project by Daniel Norée. Actually it´s 2 new low profile rain tires, 5 versions of a crash safe front spoiler and 2 versions of a new crash safe rear spoiler. Enjoy!